The first tab you will need to complete when creating a new user is the Profile Tab. This is where the basic information and contact details of your employee are stored. The first name, last name, username and location have to be filled. 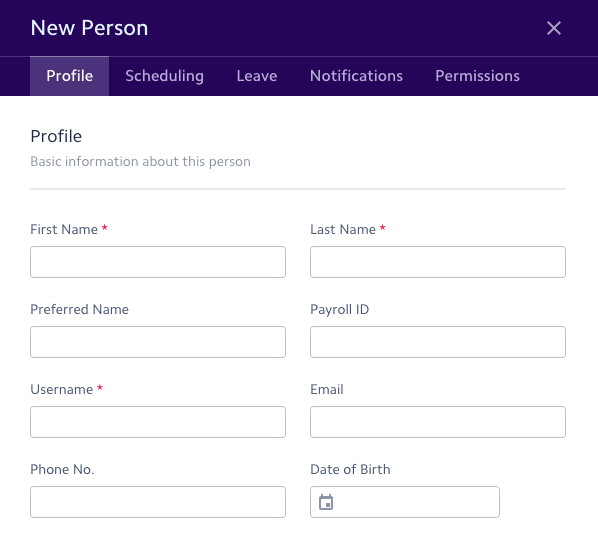 The username and payroll ID need to be unique - if it's already taken, a message will appear underneath the the box. You can also choose to have a Preferred Name if the employee has a preference. The role defines which features the person will have access to. 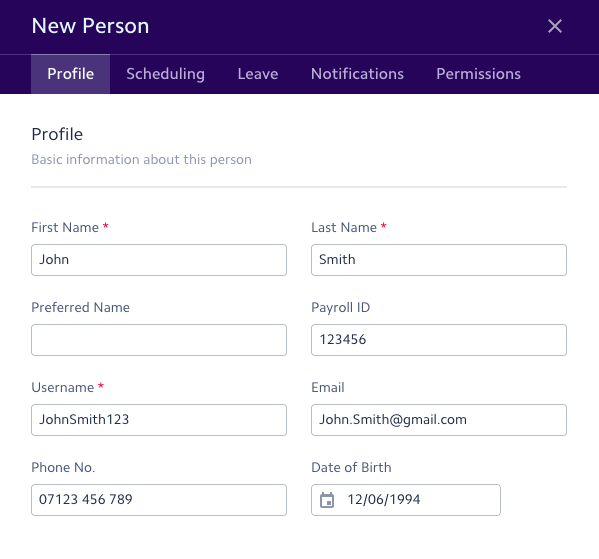 A User will have access to the basic features only, while a Supervisor will have access to the managing features, such as the scheduler and timesheet. An admin will have access to everything. Make sure you tag your new starter to a location and a position. You an also assign them skills. 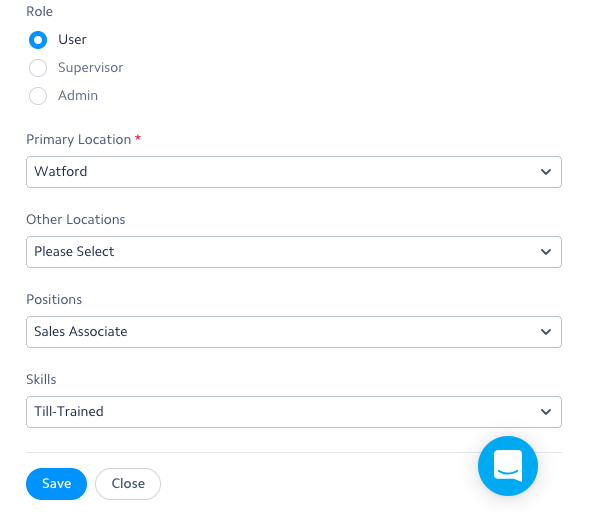 Skills, locations and Positions are created in the eponym sections, therefore you will be able to input pre-existing values only. Once you have filled all the necessary information, press Save and Close to save the profile.